The Venturing Women’s Short Sleeve Uniform Shirt is the official required uniform shirt for female Venturers. It features a vent system on the back and the Venturing logo at the bottom of the front pocket. 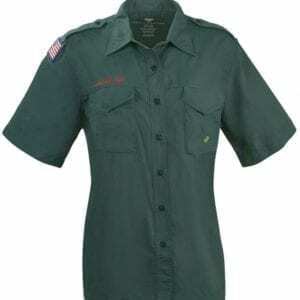 It showcases the American flag on the right sleeve and “Venturing BSA” is embroidered over the right, front pocket. 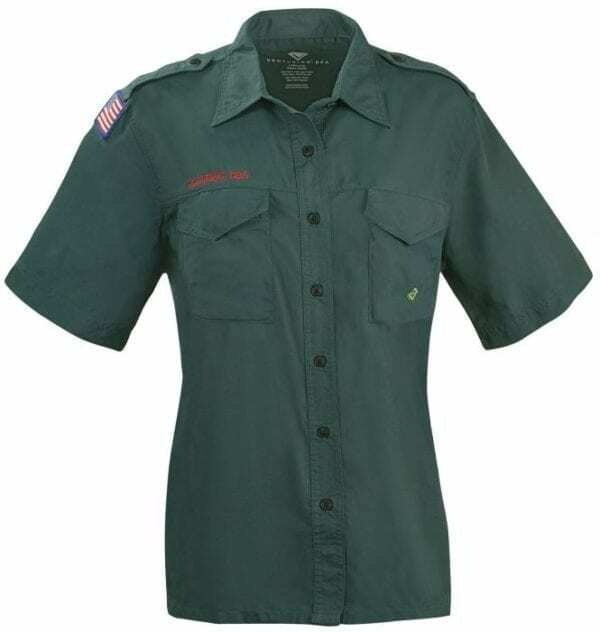 This button-down uniform shirt is made from lightweight nylon for breathability and comfort.